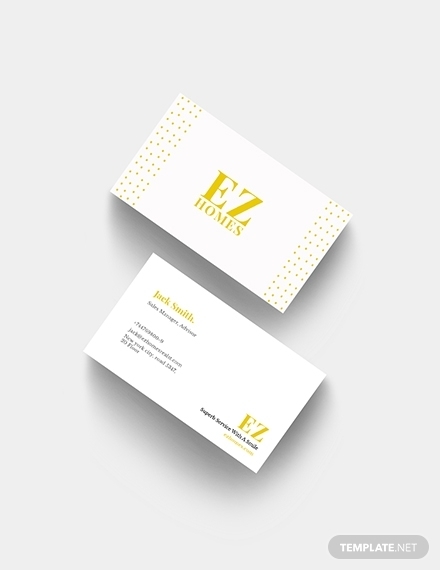 A Real Estate Business Card is an important branding tool to include in your marketing arsenal. It helps you get your business’ name to the target audience with ease. Since cards are easy to design, they only cost a small part of your marketing budget. 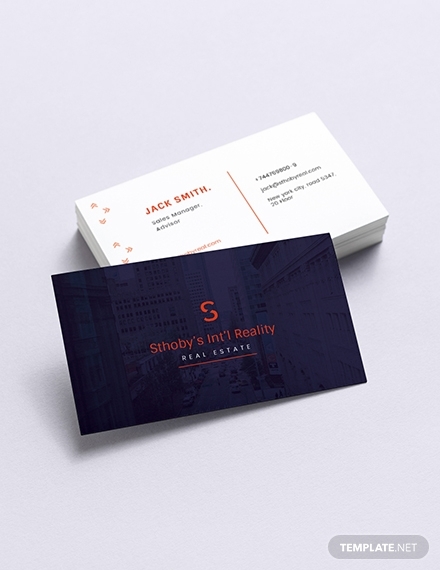 Check out the following examples of the top 15+ business card examples and templates that you can use in the real estate business. This is a very simple real estate property business card. The design is 100% done. It looks professional and it is print-ready. It features fully editable layers. You can even replace the default logos on the front with your real estate logo. You can download this template in Word, Photoshop, Pages, Publisher, or Adobe Illustrator format. Available in Word, Pages, Illustrator, Photoshop, and Publisher formats, this template is one of the most colorful designs, that you can download right now. Add your real estate logo on the bottom left at the front of the card. Turn to the back section and customize the contact information, which potential clients can use to reach out to you. 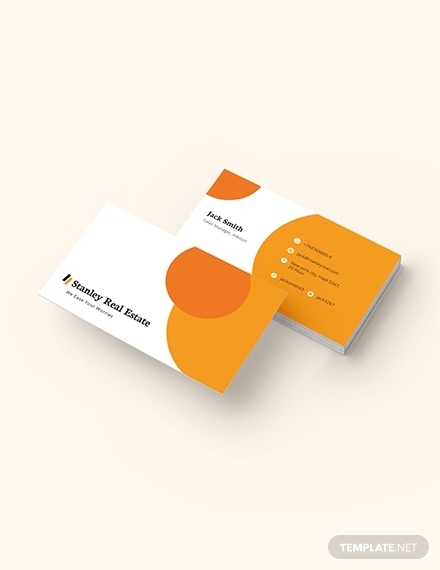 Here is a simple yet colorful business card example that you can use to promote your real estate business. Customize the front page by replacing the default sign with your business logo. The back of the card is a two-column layout. Include your position in the real estate business in the left column. Then, write down your contact information in the right column. 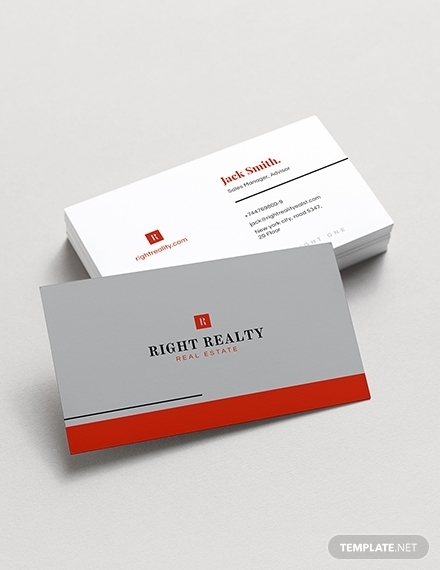 It is important to create high-quality business cards if you run a real estate agency business. 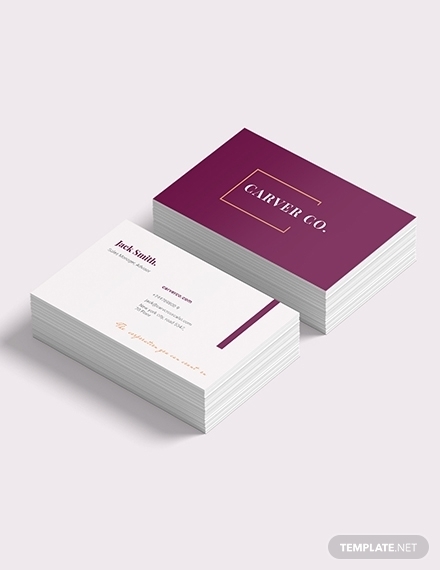 And, if you are looking for a sample template that can help you to design professional cards in just a few minutes, you might want to consider this example. Use the card to highlight and share your contact information with the target market. This business card has a perfect combination of shades of red and blue. And it looks quite appealing to the eyes. Because of the elegant design, this template can grab attention of your target audience with ease. Download the example template in Word, Pages, Illustrator, Publisher, or Photoshop format. Market your residential real estate business with a professional vibrancy using this business card example. Although it is simple in design, the default background blends well with the text color. And since the template is up to the standard, there isn’t much to tweak. 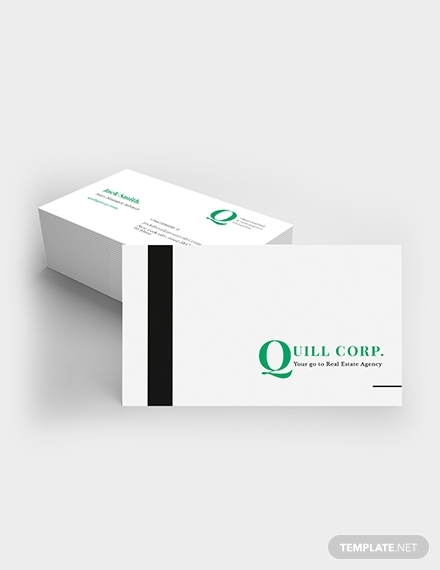 Simply replace the text, print the cards, and get down to business branding. 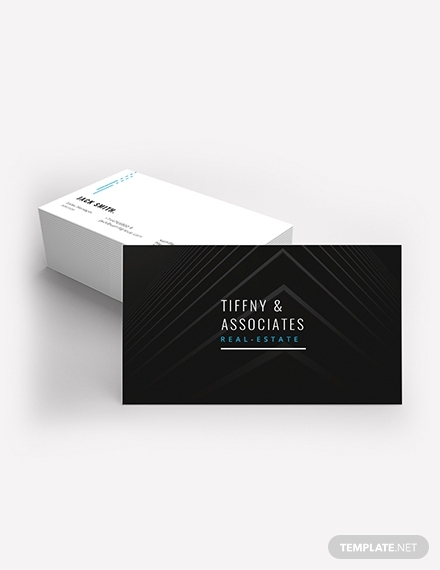 The best way to promote luxury real estate properties is to use this luxury business card template. The front section features a black background with white stripes. The back section is completely white with black text. The template is print ready because the design is already complete. Simply replace the text and then use the card for real estate marketing. The urban real estate market is competitive than ever. You need to promote your business heavily to stand out from the competition. So use this sample card to create a professional and visually appealing business card for urban real estate and use it to attract potential customers to your business. 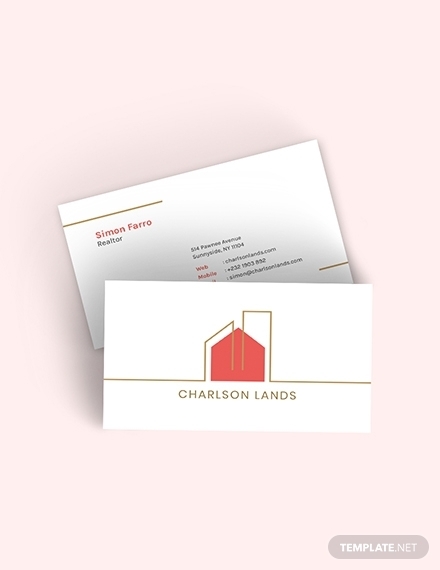 Whether you are promoting houses for sale or looking for clients willing to rent, this card can help you build your brand. Are you tired of real estate business cards that feel cheap and look ugly? 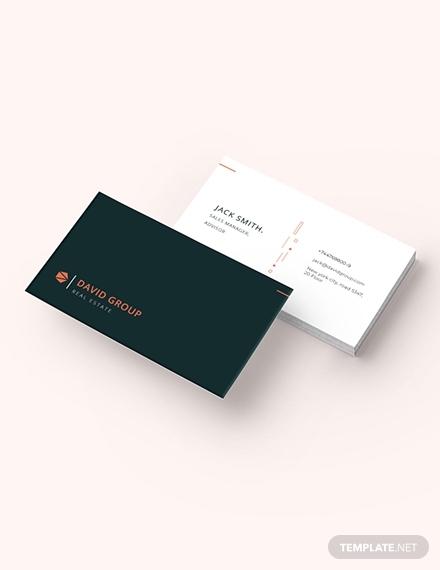 With a good combination of color, front to back, this commercial real estate business card template lets you create an outstanding visual appeal on the spot. Details to include on the card include your business location, your email address, social media profiles, and phone number. 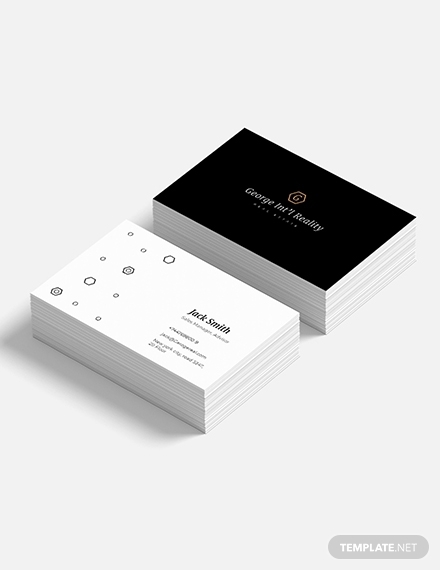 Simplicity in design is what makes this business card elegant. The front features a black background that blends well with the white text. And if you have a PNG business logo or a logo with a black background and orange or white text, you can add it here as a custom image. The back of the card is a white background with black text. Maybe you won’t close a business deal the first time you meet a potential client. But, giving them your business card is a good way of asking them to keep in touch. Available in Pages, Publisher, Word, Photoshop, and Adobe Illustrator file formats, this modern real estate marketing template lets you share your contacts with a prospect so that you can keep your doors open for any further communication. This sales and marketing business card is a good option for sales managers in the real estate business. Customize the template by including your business logo, company email address, and phone number. Then, share the cards with every potential customer you meet during your business meets. This card can help you to increase your customer base and boost overall sales. To attract potential real estate customers the first time, you need to make the first best impression. 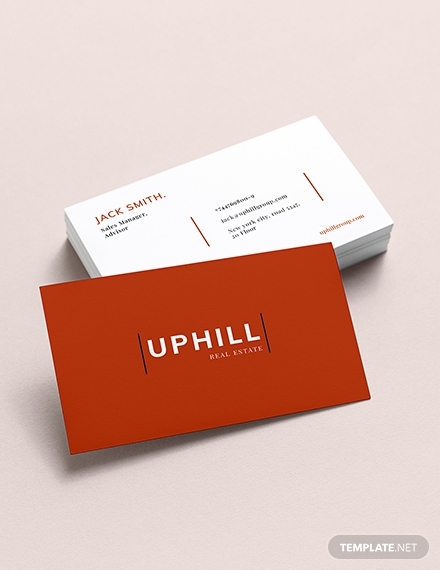 And, what a great way to do that than to use this minimal real estate business card. Available in Word, Adobe Illustrator, Publisher, Pages, and Photoshop, this sample card template is fully editable and easy to customize. Property managers are some of the most social businesspersons out there. And, they make contacts with dozens of prospects every single day. If you hold the same position in a real estate business, then you know how important it is to have property management business cards. 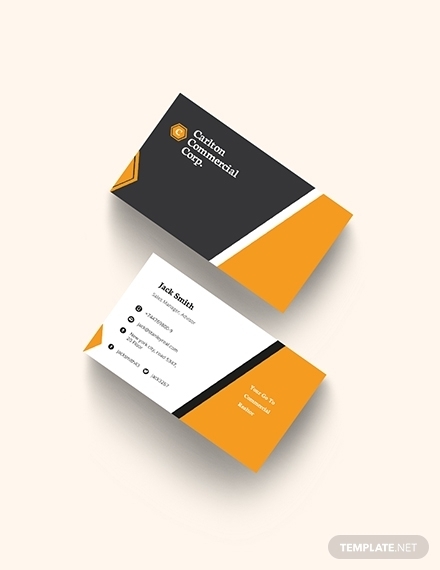 So use this printable business card template to design some professional business cards for your business. This sample template is ideal for managers who work in commercial real estate companies. It is also a good option for real estate brokers who wish to grab the attention of their target market. 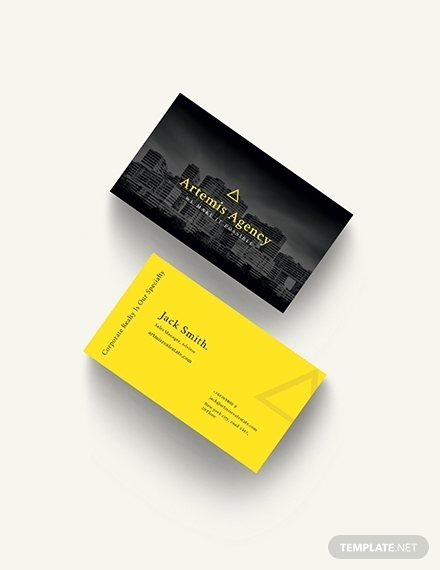 You can use the business card template to get clients calling and closing deals. This downloadable template is fully editable and easy to customize.